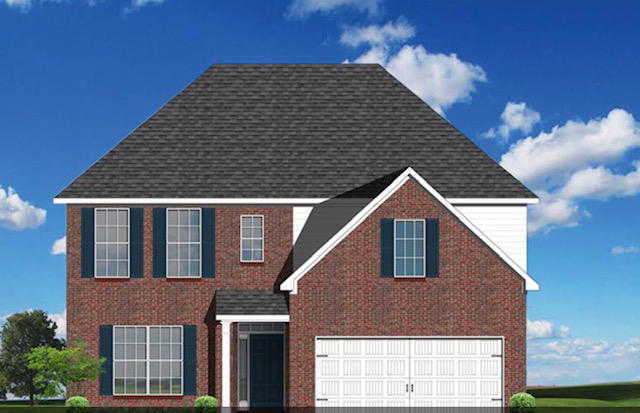 The 2-story Dogwood plan offers room to spread out. A suite on the first floor w/ bay window & a master suite plus 2 BR & loft on the 2nd floor. The flex room off the entry can serve as an office or formal living/dining room. The kitchen includes a step-in pantry & large granite island with counter dining, opening to the large central family room. The family room also features a gas fireplace w/ stone to ceiling surround. This home features a tankless hot water heater,16×12 covered patio,Frigidaire stainless appliance package includes a french door refrigerator & gas range. Main level features luxury planked vinyl flooring,tile in the BA/utility room & a level 2 carpet in the BR w/ upgraded carpet pad. All countertops are granite. Beautiful requisite gray walls by Sherwin Williams. Please, send me more information on this property: MLS# 1074458 – $308,891 – 1906 Wooded Mountain Lane, Knoxville, TN 37922. I would like to schedule a private showing for this property: MLS# 1074458 – $308,891 – 1906 Wooded Mountain Lane, Knoxville, TN 37922.